Week Twelve: EXTRAVAGANT: John 12:1-8: It was an act of exceptional extravagance—broken, poured out and used up. It cost her everything but you’d never know it for she didn’t hesitate. It was an act that was over almost as soon as it began but the smell of it, the effects of that act of love, that act of memorial, would last for weeks, maybe months after. It was an act of love that was to herald Jesus ultimate act of love on the cross. Join us as we look at the anointing of Jesus feet and discover what it means to love Jesus extravagantly. Week Thirteen: EXAMPLE: John 13:1-17: It was shocking and scandalous when Jesus washed his disciples feet in that upper room. But what did it mean and how does it affect us? Week Fourteen: HELPER: John 14:15-31: It may be that many of us think the Holy Spirit is like our pituitary gland. We know it's there, we're glad we've got it, and we don't want to lose it, but we're not exactly sure what it does. 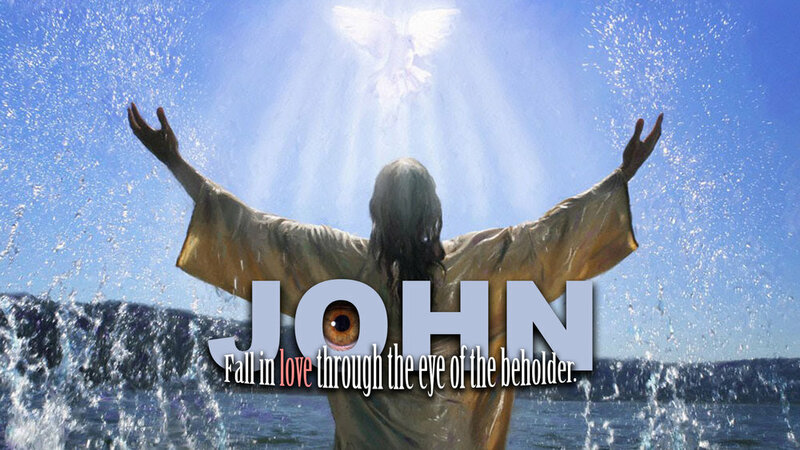 Join us as we look at what our HELPER, the Holy Spirit, does from John 14. Week Fifteen: REMAIN: John 15:1-10: Are you tired of trying so hard to become a better version of yourself? Would it be great if you could let yourself off the hook? Why not give yourself a break? In John 15 that is exactly what Jesus does. Discover the good news of John 15: you cannot do it. Week Sixteen: JOY: John 16:16-33: What is joy and how is it that we can have joy in spite of pain and suffering? In john 16, as Jesus comforts his disciples, we unravel the mystery of Christian joy. Week Seventeen: PRAYER: John 17: Martin Luther said, "To be a Christian without prayer is no more possible than to be alive without breathing." No wonder most Christians say they would like to improve at prayer. This week, in John 17, we will sit at the feet of Jesus, a master of prayer, and what we learn there may just change our view of reality forever. Week Eighteen: TRUTH: John 18:33-38: We live in an age that is confused about truth. Just as Pilate asked Jesus during his trial, "What is truth?" our society is asking the same thing. Jesus said he had come to testify to the truth. Join us as we learn what truth Jesus testifies to. Week Nineteen: : CRUCIFIED: John 19:28-30 The last word that Jesus spoke, "It is finished," was not a statement of defeat but a pronouncement of victory. In discovering this last word of Christ we learn the plan of the cross, the purpose of the cross and the people of the cross. Do you need a word of victory in your life? Join us and receive it. Week Twenty: : EMPTY: John 20:1-9 It is the resurrection that is the central belief of the Christian faith. Without it we are not saved at all. It is also the resurrection of Jesus that helps us have the hope we need to face death. But how do we know Jesus resurrected? Join us as we explore the historical evidence of the resurrection so that we, like John, can see and believe.